Bridgewood Property Company today launched construction on the company’s newest luxury senior living property, the innovative high-rise Village of Southampton. Located in the historic, prestigious Southampton Place neighborhood, the newest addition to Bridgwood Property Company’sindustry-leading senior community housing portfolio is one block from Houston’s best-in-class Rice Village shopping and dining district. The Village of Southampton is expected to be completed in Spring 2020, bringing independent living, assisted living, and memory care services to the neighborhood. High-rise senior living is an emerging trend in the senior living market. The model enables more senior living communities to locate in areas with costly urban real estate, allowing urban seniors to stay in the city in which they have always lived. High-rise senior living also provides residents with high-quality apartment homes and amenities, highly personalized services, and opportunities for ongoing connection with their communities. The Village of Southampton will primarily serve residents of Southampton, West U, Bellaire, Rice University, and Braes Heights. 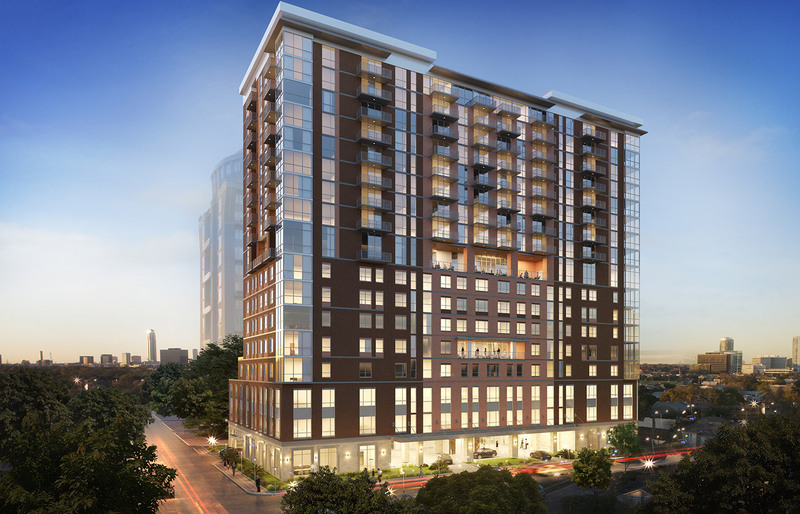 The project will deliver 17 floors of luxurious apartment homes with beautiful skyline views of downtown Houston, Rice University, Herman Park, and The Texas Medical Center. Amenities include an indoor heated pool and spa, fitness center, movie theater, full-service salon, outdoor terraces, secured garage parking for residents and guests, valet and concierge services, formal and private dining, Bistro, and sky lounge. Residents can take advantage of shuttle service to local destinations. The Village of Southampton’s premier location and proximity to Rice University will give residents the opportunity to engage in the university’s academic and athletic programs. The location is just steps away from Rice Village and close to the Texas Medical Center—the world’s largest medical center. The Village of Southampton will be managed by Retirement Center Management. The Village of Southampton joins Bridgewood Property Company’s portfolio of prestigious senior living communities in Houston—The Village of Meyerland, The Village of River Oaks, The Village of Tanglewood, and The VIllage of the Heights—as well as the innovative The Village at the Triangle in Austin’s eclectic Triangle area, and properties in Spring, Denton, Richmond and other communities in Texas. Bridgewood Property Company develops and manages premier senior living communities in carefully selected markets. The Bridgewood team has developed more than 4,500 independent, assisted living, and memory care units, representing more than $1 billion in asset value. Known for caring professional staff and providing excellent resident care, the company’s overarching goal is to enable our residents to Live Life Well®. For more information, visit https://www.bridgewood.us.